Dazzle your guests at your next party or event with our Blue Glow Necklaces. These crowd favorites will add a ton of fun to your New Year’s Eve party, rave, black light party, luau, or any other night time party or event. 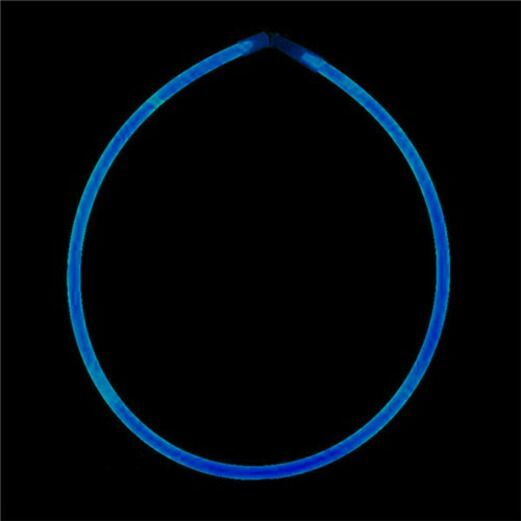 These Blue Glow Necklaces can also be used for nighttime parades and nighttime safety. Unconnected, these necklaces can be used as decorating accessories for centerpieces.